Being one of the dominant showroom interior designers in Pune. We offer our valued customers the world-class exhibition interior design services within your budget. 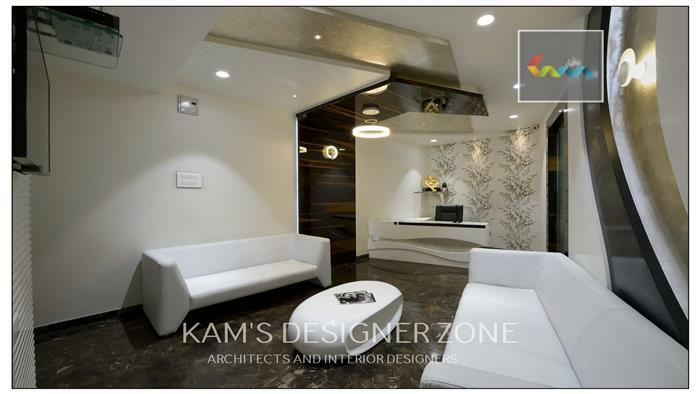 KAM’S DESIGNER ZONE offers specialized services in showroom interior design in Pune. At Kam's designer, our teams of skilled professionals help design your showroom for business and offer quality services. We can also give special attention to your brand image and recognition while designing the exhibition space. The quality and the best possible use of the space is the most important thing for us while we design the interiors of the room. Our interior design team will always have a perfect design that suits all the customers inside the showroom. We are committed to having our showroom designs resemble business values, space utility and the idea associated with the brand. Everyone wants to express their business very interesting for others. Showroom does not meet the rules of a particular type. So, occupy the entire Showroom is completely decorate to be yourself wear, we can only help you with a small idea, decoration materials, labor and the rest is in your hands. Create magic in your Showroom! Pune Interior offers all kinds of modern Showroom Ideas to decorate showroom at best Price. We are one of the best Interior Designers in Pune that offer reasonable price services, Lighting Decoration, Showroom Services, Satisfied Customer, Top Decorating Solution..